This was such a fun bracelet to make. Swarovski makes a luscious crystal pearl in a variety of colors, and it compliments my photo charms perfectly. 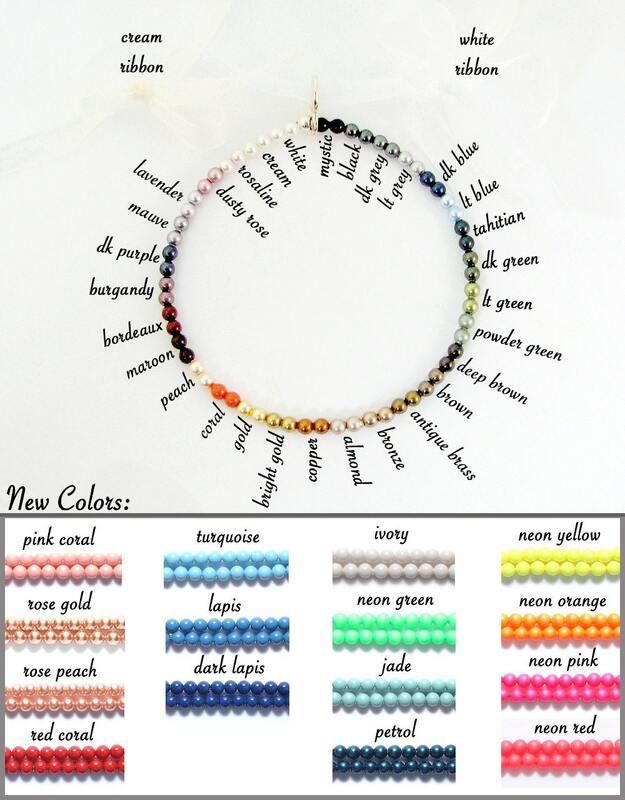 This pearl bracelet can be custom ordered between 6" to 8.5". You can order it in a pearl color that matches your images, or your wedding colors in place of the Mystic colored pearls shown above. Choose your favorite color from the chart above and include your choice with your image(s). This bracelet includes 6 round, two-sided Mini Charms (.5"), and a sterling toggle clasp. 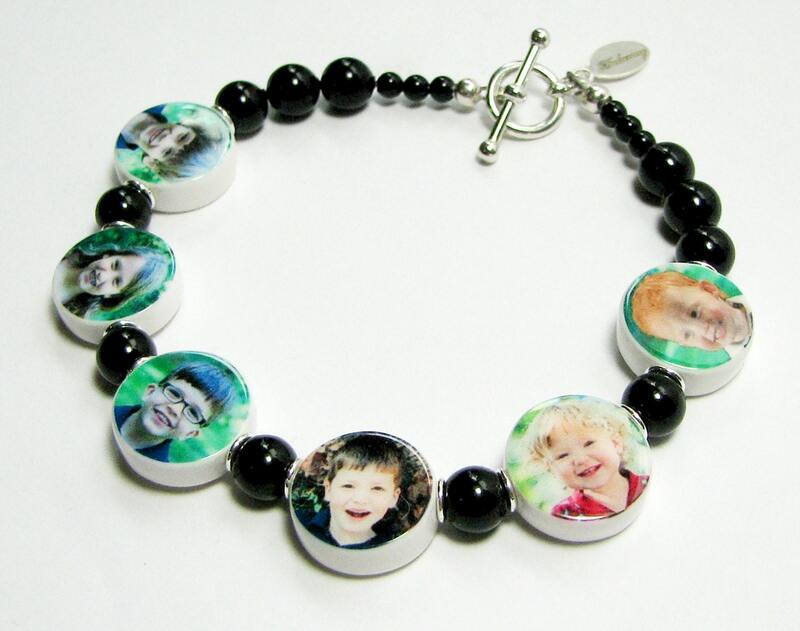 Each charm can hold up to two images, or request a custom text image as shown above. 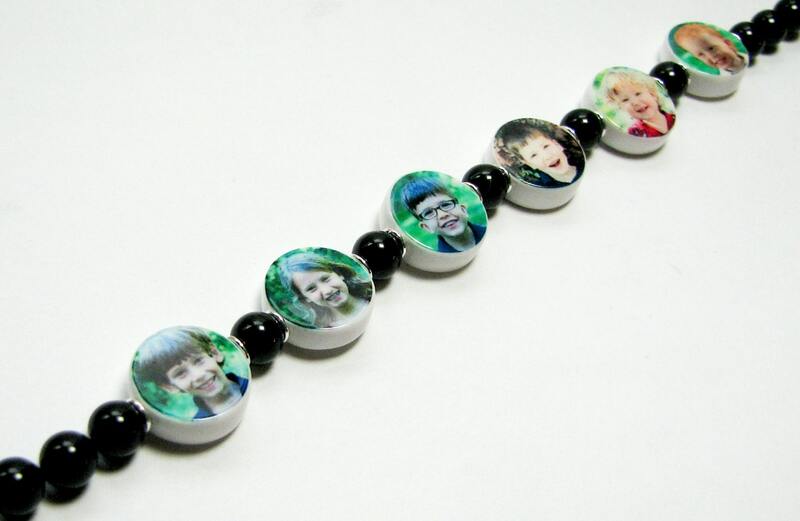 This bracelet design can hold up to 7 charms, and as few as 1 charm. Simply send your request to DJD [!at] Q.com for a custom quote.